The new major release of GD bbPress Toolbox Pro is here, and version 4.5 brings many new features, including tracking and marking of new, unread and topics with new replies for each forum user. GD bbPress Toolbox Pro 4.5 now requires WordPress 4.2 and bbPress 2.5. 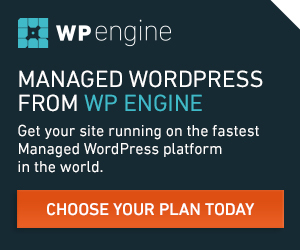 Older versions of both WordPress and bbPress are no longer supported. As for the PHP, according to our development policy, plugin now supports PHP 5.5 and newer versions. One of the most important features for any busy forum is to make it easier for users to quickly find new content, or to navigate to the first unread reply of previously read topics. GD bbPress Toolbox Pro now brings this feature to the bbPress powered forum, with tools for tracking user activity in each topic and marking topics as new or unread or linking to first unread reply. The plugin includes options to display different markings for the topics in the topics list, and there are a number of filters you can use to modify the badges and icons used. Default badges are styled using CSS, and they are tested with many themes compatible with bbPress. If you have suggestions on how to improve this, please let me know. Next version will include marking of forums for new topics and replies using a similar method. The plugin also includes a new module that can be used to disable RSS feeds bbPress adds to forums, topics, replies and topic views. You have options to redirect these feeds to parent URL, home or forums index URL. Module for handling redirects for unauthorized access is expanded to handle 3 more cases: blocked user attempting to access forums, attempts to access hidden and private forums. For each one, you can specify URL to redirect to and provide users options to register or login. The new version includes a new dashboard widget showing the list of 10 recent topics and replies. The plugin adds two more topic views related to the currently logged user to show user subscribed and favorite topics. Report posts module is expanded, and now reports can be set not to use report form. ‘Say Thanks’ module now has a new feature: send notifications to authors that receive thanks. There are many more updates include: image icons set is in the own file and loaded if needed with filter to load different files allowing you to change images and styling, all icons are filterable to be replaced with different images or icons, moderators can again access some plugin panels, unused and outdated images are removed. As for the fixed, problem with TIFF images is resolved (they are no longer displayed as thumbnails since no browser supports them), the problem with meta boxes styling on the forum’s panel is also resolved. Congratulations on this update Dev4Press !!! Great new features to an already robust and intuitive plugin. Please correct me if I’m wrong but as far as I can tell (from testing and looking through the code) there is no “real” go-to-first-unread-function yet. It only jumps to the very last reply when the topic has new replies after my last visit. Line 117 in moduels/tracking.php renders the (>) button and constructs its url by using bbp_get_reply_url() with the help of bbp_get_topic_last_reply_id(). None of these methods factor in the last reply the individual user has read before. So the user is always lead to the _last_ reply in the topic, not his first “personal” _new_ one. So in most cases, the user is just taken too far. I was hoping to replace the bbpress-go-to-first-unread-post-plugin with the new toolbox-update. Do I miss or misunderstand something here? Thanks, good catch with this. I will recheck it, and release the update in the next 2-3 days. Thank you Millan! I love these new updates. I plan more updates for this, with marking forums for new content too, in the next major 4.6. And, suggestions are always welcome. There is a forum statistics, and currently, it can show different things and will be expanded in the next versions. You can enable it from plugin Settings -> Forums panel. You have widgets for statistics display too. Added to the list for version 4.6.